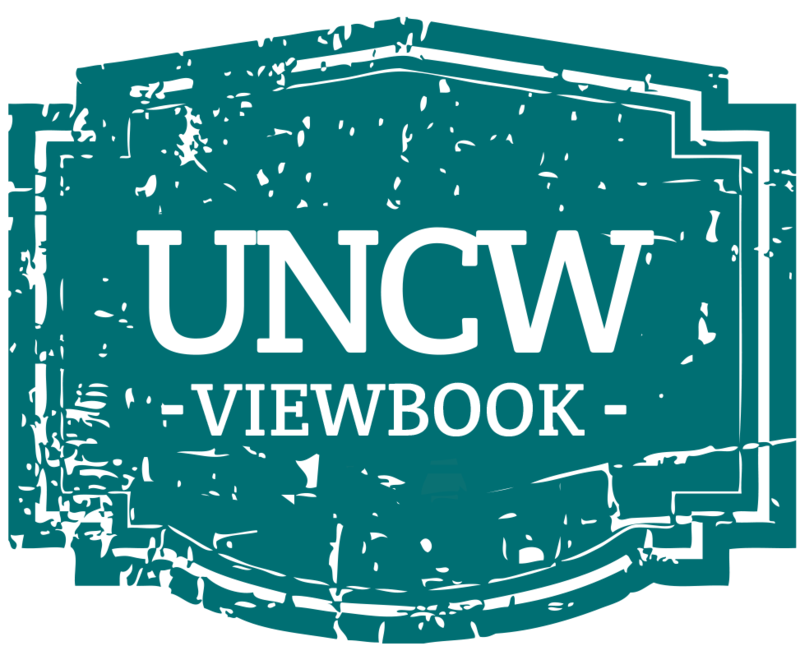 The ideal way to experience the UNCW campus is with a campus tour, guided by our enthusiastic UNCW Student Ambassadors, Seahawk Admissions Network for Diversity (SAND) members and Transfer to Teal Guides. During the academic year (August-May), tours are offered Mondays, Wednesdays, and Fridays at 10am and 2pm and Tuesdays and Thursdays at 11am and 2pm. During the summer (May-August), tours are offered Mondays and Wednesdays at 10am and 2pm, Tuesdays and Thursdays at 11am and 2pm, and Fridays at 10am only. Additionally, we offer various Saturday tours throughout the fall and spring semesters. Tours are only offered when classes are in session; tours are not offered on holidays. If a date is not available, you will not be able to select it when signing up via SeaLevel. Click here to sign up for a tour today! Each student must register for a campus tour. This means if your group includes three prospective students traveling together, each student should register separately. To register for a campus tour, login to your SeaLevel account and click on "Visit UNCW" on the navigation area on the left of your home page. Then choose "Schedule a Tour" from the drop-down menu. Finally, select the date you wish to visit and input the required information. A confirmation e-mail will be sent to the e-mail on file with your SeaLevel account confirming your visit. Please be sure to check your Spam folder if you do not see this confirmation right away. Due to space limitations, if a particular tour date or time is full (or a tour is not being offered on that day) SeaLevel will not allow you to choose that date/time. Prospective UNCW transfer students have the option of signing up for a Transfer to Teal Friday campus tour designed exclusively for transfer students. These tours will take place on select Fridays at 1:00 pm and include an information session from a Transfer Counselor as well as a Teal Guide led tour of campus. Students must sign up via SeaLevel. If you are a transfer student and unable to visit at any of our designated Transfer to Teal Friday tours, you are always welcome to sign up and attend a daily tour, please see the information above. If your desired Transfer to Teal Tour is full we may still be able to accommodate you, please e-mail us at UNCWTransfer@uncw.edu. Schools and other organizations wishing to request a reservation for a group tour may do so by completing our School Group Tour Request Form. Requests for group tours must be submitted at least three weeks in advance. Please only submit the School Group Tour Request Form if your party is 10 or larger. If smaller, please register each student individually through SeaLevel. Click here for more information on group visits. Please note we do not currently offer group tours to elementary or middle schools. Are you interested in majoring in the arts in college? Are you wondering how to put together a portfolio, or prepare for an audition? Are you thinking about what high school courses will ready you to major in the arts? Students in grades 10-12 and their parents invited to a day of arts exploration at UNCW. Join faculty, staff, and students in Art & Art History, Creative Writing, Film Studies, Music and Theatre in a day dedicated to helping you learn more about opportunities in the Arts at UNCW! To learn more, click here! In the spring of 2019 we will host four Honors Interest Information Sessions. During these sessions we will highlight Honors College program features and benefits of the Honors experience for high school students interested in the Honors College. Please mark your calendar for one of these Friday sessions: January 25th, February 15th, March 22nd, or April 12th. We will hold 45 minute info sessions on those days which will take place from 9:00am-9:45am or 2:00pm-2:45pm. Please feel free to check-in 30 minutes prior to your session for light refreshments and an opporunity to meet the Honors College Director and staff. All sessions will be held in the Randall Library Auditorium (second floor). You will also be able to attend an Admissions Tour during your campus visit. For more information on Honors Visit info, please click here. The College of Health and Human Services (CHHS) is home to the following degree programs: Pre-Licensure Nursing, Social Work, Exercise Science, Healthy Living and Fitness Education, Gerontology, Public Health Studies, Recreation, Sport Leadership and Tourism Management, Recreation Therapy, Clinical Research, RN-BSN (Online Accelerated) and Exercise Science (Online Accelerated). Thinking of visiting campus and want to meet with a CHHS Student Success Advisor? Please complete the CHHS Campus Visit Request here. The advising meeting will last around 30 minutes and will cover information about the college, majors, and specific program admissions. Please note: CHHS Student Success Advisors will be unavailable to meet during scheduled admission events and transfer orientation. Thinking of visiting campus and want to meet with members of the Film Studies department? Please plan to attend one of our Prospective Student Information Sessions. To attend a film studies tour, please call 910-962-7502. For more information, please click here. The Watson College of Education will be hosting several information sessions before and after scheduled UNCW campus tours. To register for one of these sessions, please fill out this online form. Please keep in mind that you must register for the information session and UNCW campus tour separately. UNCW campus tours should be scheduled on SeaLevel only. If you have further questions about the Watson College of Education information sessions, please contact Dean Heath at heatht@uncw.edu or 910-962-3087. Please note that campus tours are held rain or shine. Should there be presence of thunder or lightning, or a threat of thunder or lightning, a virtual tour will be facilitated in the James Hall auditorium by our student tour guides. For driving directions to the Office of Admissions in James Hall or to Visitor Parking, please click here. Since all of our campus tours follow a predetermined route, you are encouraged to make appointments for before or after your tour with any other departments of interest before arriving on campus (e.g. a particular academic department of interest, Scholarships & Financial Aid, Athletics, the Honors Scholars Program, etc.). If you are unable to attend one of our scheduled campus tours at their set times, we encourage you to explore campus on a bicycle through our Hawk Wheels Bike Share Program. Please submit this online form to reserve your bike today! Please limit 4 bikes per family and note that this option is only available during the week when the Office of Admission is open (Monday-Friday, 8am-5pm). 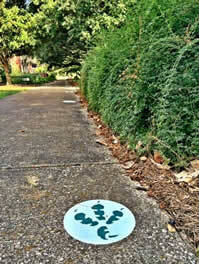 Campus visitors - you can follow the Seahawk talon footprints from visitor parking in Lot M to the Office of Admissions in James Hall to check in for your campus tour!